It doesn’t get any dirtier then this 19 year old teenager. Really, you can’t even walk for one meter unless you step on to something that’s old, stinks or is disgusting. This is likely the life you lived when you entered the “real world” as a college student, living away from the safety net of your parents for the first time. 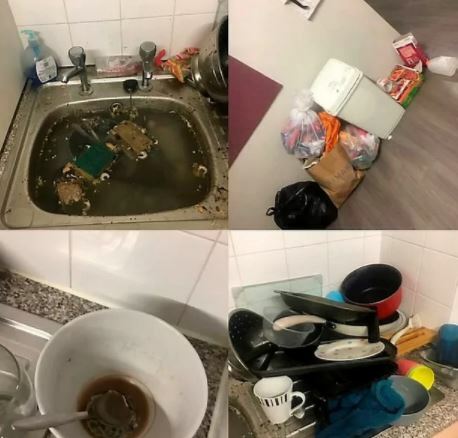 One particular student from Filton, Bristol decided to own her messy place and entered a competition to see if she, in fact, had the most disgusting student home. Let’s just say she’s walking away with some cash in hand. 19-year-old real estate student Brittani Cooper is about to make you feel reeeally good about your own apartment. 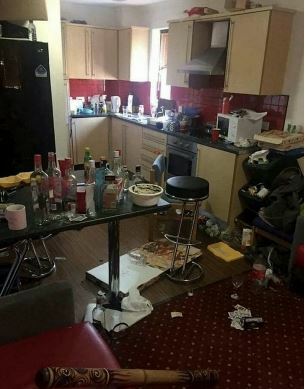 Her dad urged her to enter a competition put on by web-blinds.com for the messiest student digs in Britain after seeing the appalling state that her flat was in. She went right ahead and submitted photos of her place. Wow, no shame. Keep in mind she won the grand prize out of 982 entries. Let’s take a look at the photos she sent in. One thing is clear — whoever partied here got so blasted that they broke out the rain stick. Apparently, this is the room that Brittani’s dad totally lost his cool over. Could it be because of the sitting pools of moldy water? From a different angle, the kitchen keeps getting better. It looks like Brittani had the intention to clean (notice the cleaner in the window), but never got around to it. This is a situation where the thought didn’t count for much. 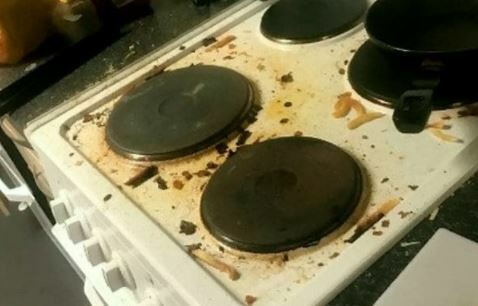 When I see this stove top I think, “Wow, at least she tried to cook a meal at home.” That doesn’t take away from the fact that it’s filthy AF. 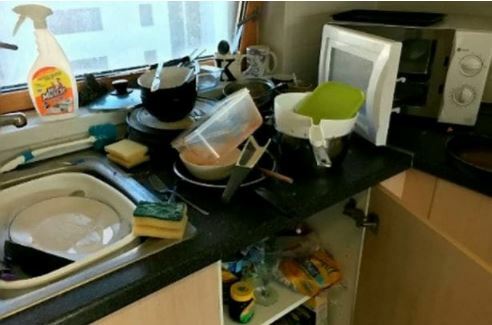 In this photo, the dishes are stacked so high they nearly touch the cabinet. It’s clear from the previous photos that she didn’t abide by the landlord’s note that hangs on the kitchen wall. Dang, Brittani. How’s life with no working sinks? 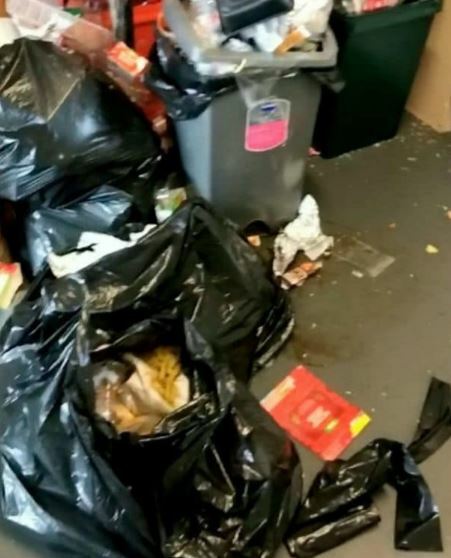 You may be thinking, “Wow, my place is just as bad.” But she is hiding a little secret in the storage area.. The lid of that grey trash bin is off its hinges, what the — ?? This is Brittani’s version of stuffing all your dirty clothes into a closet before your friends come over. 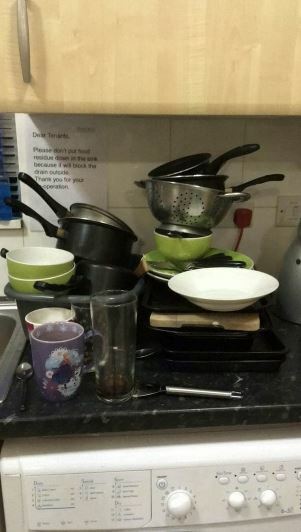 This may have been the photo that won her and her five flatmates the grand prize. The picture of the trash bags on the floor reminds me of a certain time in my life when I lacked basic cleaning instincts. This isn’t chaos — it’s organized chaos, right?. Yes, chills down my spine. 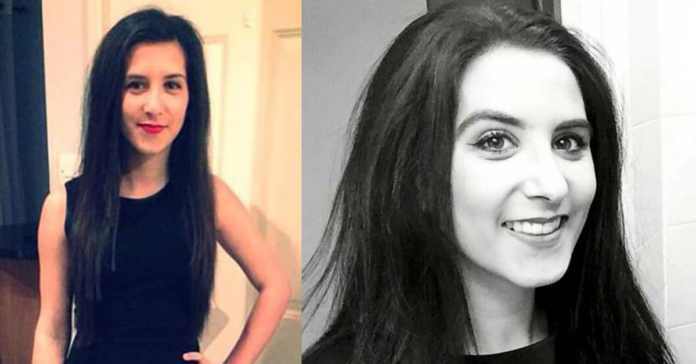 It turns out that Britanni doesn’t have any regrets, either. 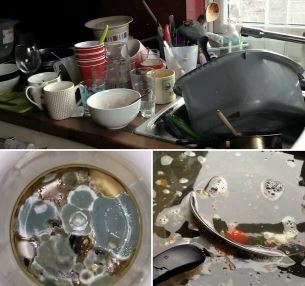 “I decided it was worth entering with some images of our very messy kitchen, and now I’m so happy I did,” she said in an interview. How much did she pocket for the prize? 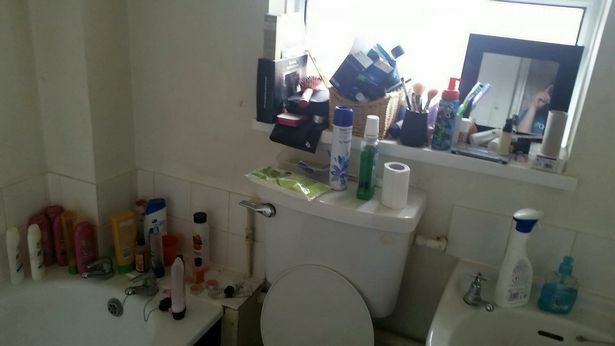 This monstrosity of an apartment won her and her flatmates roughly $650 U.S. “I’m going to use it towards decorating my new student house for my second year. I’m aiming to keep my new home a lot cleaner,” said Brittani. Which one whould you rather…?